Academic listening is a special kind of listening. It is listening in order to encounter, understand, learn, discuss, and remember new ideas. No matter what your teaching situation, helping students become better academic listeners is an important part of language teaching. Over the years, through teaching, observation, and research, I have come up with ten teaching tips that can accelerate academic listening. Academic listening is also about exploring, negotiating, and sharing ideas and learning new perspectives. Classroom learning of academic listening depends crucially on the learners having frequent collaborative “academic conversations” with one another — and with you, the teacher. Learners need to feel safe brainstorming, sharing personal thoughts, questioning ideas, reacting emotionally at times, and working out problems understanding one another and the course content. But trying to have meaningful academic conversations often runs into a wall. Left to their own devices, most learners, regardless of age, will settle on minimal verbal and non-verbal interaction in the classroom, often attempting to finish learning tasks as quickly — and with as few words — as possible. The challenge for learners is that academic learning involves making our thinking explicit, so it is necessary to teach and reward the use of explicit gambits in order to develop this elaborated style of thinking (Crawford and Zwiers, 2011; Zwiers and Soto, 2017). Implementing this tip involves two practical steps: (1) presenting conversation prompts, interaction models, and academic phrases and (2) promoting “positive regard” for others. Presenting interaction models is best done by identifying specific critical thinking skills as “focus points” for learning. The most commonly recognized critical thinking skills are: identify main ideas, comparing similarities, contrasting differences, attributing facts to sources, evaluation of validity, inferring missing information, explaining results, and applying information to solve problems. Here is an example of displaying the relationship between focus, conversation gambit (for posing questions), and language frame (for responding and formulating ideas). What is the gist of the lecture? What do you think is the central idea? The second aspect is promoting “positive regard,” which means seeking and acknowledging each speaker’s contribution. Positive regard can be achieved through active listening to one another’s ideas, supporting each other’s efforts to learn, and respecting alternate points of view. Teachers assist through modeling and monitoring of conversational interaction to be sure that “positive regard” is systematically practiced (or at least aimed for!) in all classroom interactions (Singer, 2018). The essential insight behind this tip is: It is the learners themselves who decide whether or not they want to understand. Set up optimal learning conditions — and let the learners do the work. This suggestion may seem obvious, but I have often seen learning get short-circuited when teachers try to guide or help their students too much. Think in terms of letting the students take the lead, in whatever ways you can. Have the students run the technology, let them select content supplements and decide on activities when possible, have them lead group discussions, have them give presentations, even have them design the tests. Active listening is more than the notion of “being animated when you listen.” It is actually a broader range of cognitive and emotional activity that could be described as “engaged processing.” Active listening starts with a mindset: an open-mindedness, curiosity, and a “positive regard” for the speaker and his or her ideas — a supportive intention to try to understand without judging. Beyond these intentional aspects, active listening involves the specific teachable behaviors of paying full attention, asking clarification questions, paraphrasing, reflecting, summarizing, and asking creative follow-up questions to probe further into the speaker’s meaning (Rost and Wilson, 2013). I often talk with teachers who believe that active listening is way beyond their learners’ abilities. After all, their students may be struggling with basic vocabulary and grammar issues. Don’t they need to master the language more fully before they can use these “advanced” academic formulas and interaction gambits? Research has shown that teaching this type of “metacognitive thinking” actually helps students, even lower-level students, handle new and complex language more readily, without simplification of content. It empowers learners to engage gradually with more complex ideas (Goh, 2018; Vlach and Ellis, 2010). Learning to use structured academic language can also create more meaningful interactions — “learning conversations” — between the students. This language provides students with “islands of reliability” for interacting in pairs and groups in ways that promote more “comprehensible output” — that is, speaking or writing output that challenges the learner to use his or her maximum language capacity (Keene, 2011; Graf and Birkstein, 2007). And in my own experience, teaching active listening strategies makes listening more enjoyable for the students! One my own mentors in language teaching, Joan Morley, used to say, “The only way to improve aural comprehension is to spend many hours practicing listening…. However, a directed program of purposeful listening can shorten the time.” What she meant was that improvement of listening skills can be accelerated by immediate task completion along with feedback on accuracy (Morley, 1990). Morley claimed that this type of instruction provided “an urgency for focusing attention.” One clear way to convert this advice into instructional practice is to create selective listening tasks so that the students know what to listen for before they begin listening. following physical commands (like “stand up, walk to the door,” etc.). Tasks of this type can greatly improve students’ confidence in listening to longer or complex inputs because they need only focus on specific sequences. Many teachers argue that this type of task doesn’t really test students’ general listening proficiency, but that is precisely the point. We want students to get acclimated to listening to difficult passages by giving them the opportunity to selectively focus on parts of the text they can understand (Kanaoka, 2009). This type of practice has a scaffolding effect, allowing students to gradually understand more, improve their working memory, and listen for longer stretches (Bransford and Johnson, 2004). You might object that this type of activity doesn’t resemble true academic listening – as in a university lecture or a business presentation. That is correct, but in order to effect transfer of skills to academic listening contexts, students also need the training opportunities to build up the sub-skills of word recognition, phonological discrimination, extracting key information, and building short-term memory (Field, 1998; Goh and Aryadoust, 2013; Wilson, 2003). Working with short extracts also helps the teacher and students diagnose specific decoding problems and take concrete steps to remediate, rather than relying entirely on inferencing in order to guess “the missing pieces” (Cross, 2009). 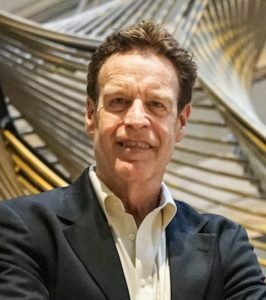 Listening strategies are cognitive and social techniques for “how to understand,” deliberate plans to construct meaning more deeply. Some have argued that effective strategies are a by-product of motivation and emerge in learners naturally without being taught (this is the “soft skills” theory), and others argue that listening strategies d o not emerge unless they are demonstrated explicitly, and that direct teaching of listening strategies improves motivation (Graham, 2017). The realized benefits may be a matter of individual differences and cultural learning styles. I have found that most learners will benefit from some explicit instruction in “how to listen,” particularly if it is done in the immediate context of a listening task. What are listening strategies? In my own research tracking and interviewing learners (Rost, 2016), as well as through the research of colleagues (e.g. Vandergrift, 2007), we have identified eight recognizable categories of listening strategies. Note-taking is widely viewed as one of the most important macro-skills in academic listening, but there is little agreement on what constitutes effective practice. Different techniques have been taught, including the Cornell Method (columns and indenting to show relationships), Mind Maps (graphic connections to show associations), and Key Words (noting only key words and phrases to show sequencing and prominence). However, no one method has been shown to be superior to others, although there is evidence that certain modalities of note-taking represent deeper levels of information processing than others (Bohay et al., 2011; Mueller and Oppenheimer, 2014). So does it matter if we have students take notes? Yes! Even though there is no consistent correlation between specific types of notes or quantity of notes and comprehension scores, as a teacher I have consistently seen a positive effect of note-taking instruction on student participation and an increase in student responsibility in trying to understand. I have seen advantages of providing interventions while students are actively engaged in listening to academic lectures — not just before or after. Interventions — short instructional episodes during a language processing experience — provide a way for students to focus their attention and learn specific note-taking strategies that promote comprehension. And as other researchers have found, I also believe that the note-taking interventions improve long-term memory during and after listening, particularly if notes are used for collaborative tasks and review for tests — or even if notes are allowed to be used during tests (Flowerdew and Miller, 2005). Because accelerating academic listening involves nurturing a full-time active mindset, it is important to have productive outside homework assignments between classes. For each course I teach, I try to curate a set of at least ten topically related YouTube, Vimeo, or TEDTalk or other videos, or FreshAir or other short interviews that are in the public domain. (I ask students to provide suggestions to add to the list as the course progresses.) This is a technique for keeping learning alive for students between classes and for “flipping” the roles of classwork and homework as needed (Jensen et al., 2015). As a safety procedure, I recommend watching the videos all the way through or listening to interviews from start to finish first, to be sure the content is appropriate for your students. In a typical eight-week course for me, the homework for the students is to listen to at least five videos and complete a short task — usually some variation of “Summarize in your own words.” “What is one thing that you learned in this presentation?” “What is one follow-up question that you would like to ask the speaker?” “What are five words or expressions you learned in this video?” If the class has a discussion board in its learning management system, I may require that each student comment on each video they watch, and respond to one other student’s comments for each video. If the class has time for presentations, I may have students prepare a presentation in pairs, related to the ideas in one video they have watched together. Come to class on time, listen actively, and participate. Take good notes and participate in the discussions and in-class exercises. Be certain that your comments improve on the silence. Participate in the online discussions and make use of web resources, especially the videos. Take notes as though you will be explaining the content to a friend who missed the class. Communicate with the instructor — about possible absences, late assignments, or anything else that will affect your performance in class. Ask questions if you don’t understand something! Just because others aren’t asking questions doesn’t mean they understand. If something isn’t clear to you, it may not be clear to your classmates. Do them a favor and raise your hand. Summarize, rewrite, and review your notes between classes. Don’t wait for the night before an exam to re-familiarize yourself with the material covered. Take some action to personalize the material. Develop your own set of study notes, summarize each lecture or reading to a classmate (learning partner), or write out what you think would be a likely essay question on the test. But aren’t these guidelines too strict? Don’t we need to be sensitive to learner differences? Don’t we need to modify course expectations to fit a range of cultural learning styles? To an extent, yes, but we also need to allow students to understand and modify their own study habits and to clarify cultural differences (between their home culture and the target culture) for themselves. By showing the “rules” of the system, we are helping them succeed, both in content learning and cultural learning (Hattie, 2012; Hofstede et al, 2010). So those are the ten tips that can accelerate academic listening. Using them is no guarantee that all students will immediately increase their listening ability, but trying them out in your classes may well trigger some fresh energy for students to improve. I hope you will try them. Asgedom, M. (2014). The 5 powers of an educator. Chicago: Mawi Learning. Bohay, M., Blakely, D., Tamplin, A., and Radvansky, G. (2011). Note taking, review, memory, and comprehension. The American Journal of Psychology, 124, 63–73. Bransford, J. and Johnson, M. (2004). Contextual prerequisites for understanding: Some investigations of comprehension and recall. In Balota, D. and Marsh, E. (Eds.) Cognitive psychology: Key readings. New York: Psychology Press. Cenoz, J. (2015). Content-based instruction and content and language integrated learning: The same or different? Language, Culture and Curriculum, 28:1, 8–24. Crawford, M. and Zwiers, J. (2011). Academic conversations: Classroom talk that fosters critical thinking and content understandings. Portland, ME: Stenhouse. Cross, J. (2009) Diagnosing the process, text, and intrusion problems responsible for L2 listeners’ decoding errors. Asian EFL Journal, 11, 31–53. Flowerdew, J. and Miller, L. (2005). Second language listening: Theory and practice. New York: Cambridge University Press. Goh, C. (2018). Metacognition in second language listening. 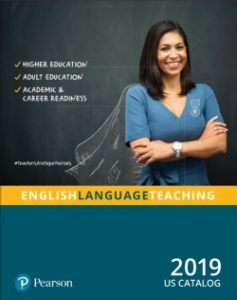 The TESOL Encyclopedia of English Language Teaching, 1–7. New York: Wiley. Goh, C. and Aryadoust, V. (2013). Examining the notion of listening sub-skill divisibility and its implications for second language listening. International Journal of Listening, 29:3, 109–133. Graff, G. and Birkstein, C. (2007). They say/I say. The moves that matter in persuasive writing. New York: Norton. Graham, S. (2017). Research into practice: Listening strategies in an instructed classroom setting. Language Teaching, 50:1, 107–119. Hofstede, G., Hofstede, G. J., and Minkov, M. (2010). Cultures and organizations: Software of the mind. New York, NY: McGraw-Hill. Jensen, J. L., Kummer, T. A., and Godoy, P. D. d. M. (2015). Improvements from a flipped classroom may simply be the fruits of active learning. Life Science Education, 14:1, 1–12. Kanaoka, Y. (2009). Academic listening encounters. New York: Cambridge. Keene, E. O. (2011). Comprehension instruction grows up. In H. S. Daniels (Ed. ), Comprehension going forward: Where we are/what’s next (pp. 111–127). Portsmouth, NH: Heinemann. Morley, J. (1990). Trends and developments in listening comprehension. In J. Alatis (Eds.). Georgetown University Roundtable on Languages and Linguistics (pp. 317–337). Washington DC: Georgetown University Press. for modulating response. Narrative Inquiry, 18:1, 131–151. Philp, J. and Duchesne, S. (2016). Exploring engagement in tasks in the language classroom. Annual Review of Applied Linguistics, 36,50–72. Rost, M. and Wilson, J. J. (2013). Active listening. New York: Routledge. Rost, M. (2016). Teaching and researching listening, 3rd edition. New York: Routledge. Singer, T. (2018). EL excellence every day: The flip-to guide for differentiating academic literacy. New York: Sage. Vandergrift, L. (2007). Recent developments in second and foreign language listening comprehension research. Language Teaching, 40, 191–210. Vlach, R. and Ellis, N. (2010) An Academic Formulas List: New methods in phraseology research. Applied Linguistics, 31:4, 487–512. Wilson, M. (2003). Discovery listening—improving perceptual processing. ELT Journal, 57:4, 335–343. Zwiers, J. and Soto, I. (2017). Academic language mastery: Conversational discourse in context. Thousand Oaks, CA: Corwin. Michael Rost, principal author of Pearson English Interactive, has been active in the areas of language teaching, learning technology and language acquisition research for over 25 years. His interest in bilingualism and language education began in the Peace Corps in West Africa and was fueled during his 10 years as an educator in Japan and extensive touring as a lecturer in East Asia and Latin America. Formerly on the faculty of the TESOL programs at Temple University and the University of California, Berkeley, Michael now works as an independent researcher, author, and speaker based in San Francisco. Michael is the author of critically acclaimed works on second language development, including Teaching and Researching Listening (Routledge) and Active Listening(Routledge), Dr. Rost’s interests focus on spoken interaction and listening. He is also author or series editor of a number of successful EFL/ESL courses, including the global series Worldview and English Firsthand, as well as the academic listening series, Contemporary Topics (Pearson). When we talk about learning technology, part of user experience is a deeper layer that we might call the learning design. That is, the interconnectivity of the various features and elements and how they lead toward significant learning outcomes[ii]. As teachers we have two skill sets that we’re continuously trying to revise and adapt and improve. Sharing learning resources with students is a great way to utilize technology in language teaching. [i] Like a lot of teachers, I compile resources that I find that I think will be suitable for my students to utilize as they try to challenge themselves outside of the classroom. And I’ve organized my resources into a kind of mind map[ii] that enables me to locate the kind of resource I might recommend to any particular student or any particular class. Now I wasn’t always so generous and certainly not always so organized in the ways that I recommended resources to students. In fact, I was probably very conservative about protecting resources rather than sharing them early on in my career.